World of Tanks: New Soviet Tier X Tanks Revealed! 44 Comments on World of Tanks: New Soviet Tier X Tanks Revealed! No more waiting, no more wondering! The two missing Soviet Tier X vehicles are now revealed and will be coming soon™ to World of Tanks. 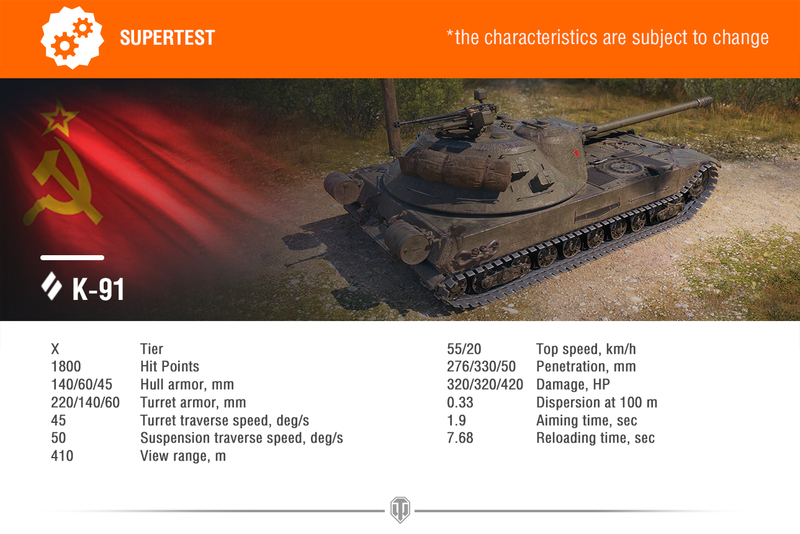 Since the announcement of Update 9.22, players have been wondering what vehicles would be introduced to the two missing Tier X vehicles in the Soviet tech tree. A lot of speculation that Object 777 version II would be the heavy tank, but as I always said: it doesn’t fit the gameplay style. Both vehicles will enter Supertest today and should become available to players soon™, but not in Update 1.0.1 as they still need to be tested and balanced. This vehicle was projected as a heavy tank under the name K-91 version II, but in World of Tanks PC the K-91 it will be introduced as a Tier X medium tank for the rear turret medium branch. K-91 will be a fast vehicle with great targeting parameters with its 1.9 seconds aiming time. The gun accuracy and shell velocity (1,700m/sec) will allow this vehicle to snipe from long distances and with its 276mm of penetration on APRC shells, will make this vehicle extremely effective. But not everything will be good in this tank, with its weak armour, limited gun depression (-5 deg) and limited turret traverse, will make this vehicle peculiar and hard to play. You can almost guess how the vehicle will play, it will excel as an ambusher, providing fire support from a distance and anyone who tries to brawl with him, it will have a hard time. With 410 meters spotting range and decent camouflage values (slightly worse than Obj430U), will enable this vehicle to spot enemies first. Its mobility is on pair with other Soviet medium tanks, but players will have to try to maximize cover as much as possible, as it will be hard to survive with its weak armour when under enemy fire. The tank can be also be used at mid-range combat, but only the most skilled players will be able to take full advantage of this game style, with its limited 180º firing arc, mobility and good gun stabilization will surely make these moments an epic showcase of skill. The true successor of the T-10 heavy tank. 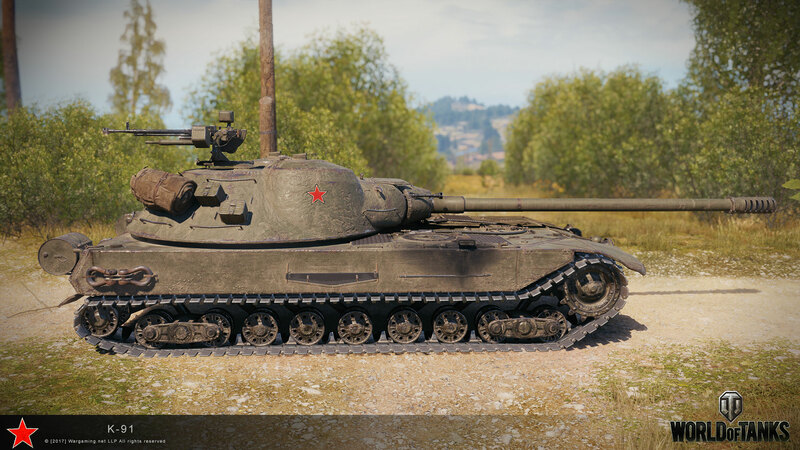 Initial reports from untrusted sources were saying Object 777 version 2 would be introduced, but anyone who researches a bit about Soviet heavy armour, and likes World of Tanks, knew straight away the tank didn’t fit the branch play style and it was never designed as a T-10 successor. 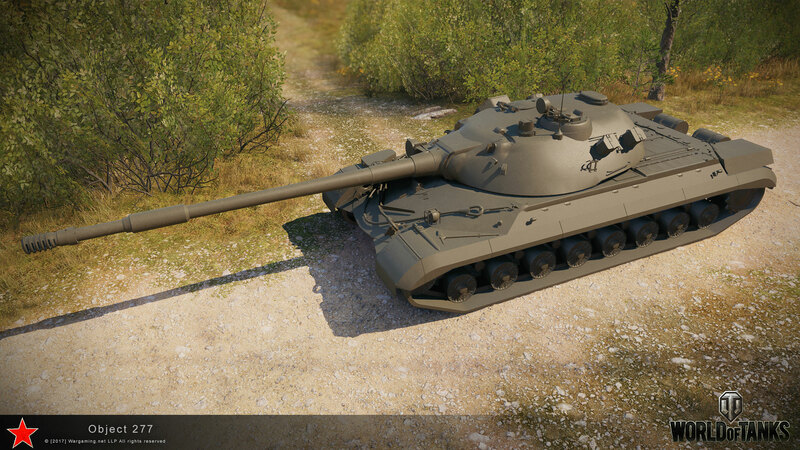 Object 277 is a heavy assault tank that combines mobility with protection. 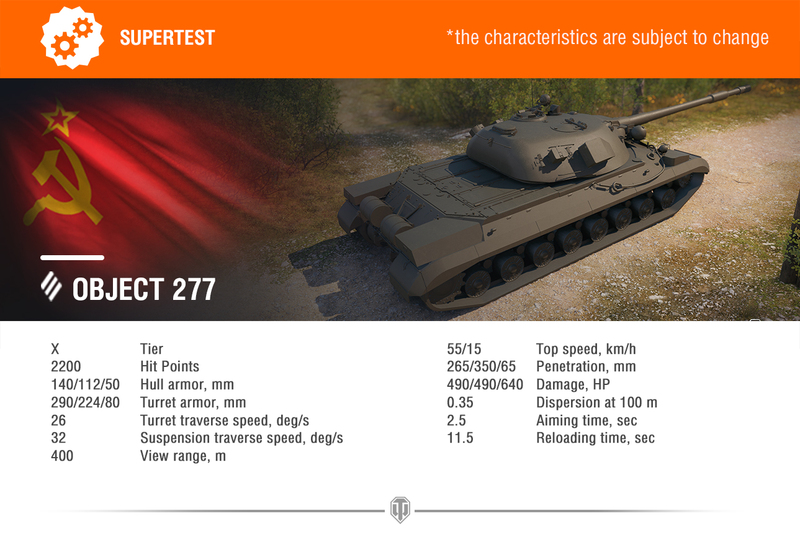 As a true successor to the T-10, Object 277 builds on its strong sides, having better aiming time, damage per minute and armour penetration values. With more hitpoints and a higher alpha damage, the is truly an improved version of the T-10. The vehicle armour isn’t the strongest among Soviet heavy tanks, but its strong enough to deal with almost any enemy tank. Its hull armour will be 140mm thick, which will increase due to the 60-70º slipe on the glacis plate, 138-170mm at 45-55º at the lower front plate, 112mm at its sides and 50 mm on the rear. But what it excels is its turret with an impressive 290 / 224 / 80 mm of armour. 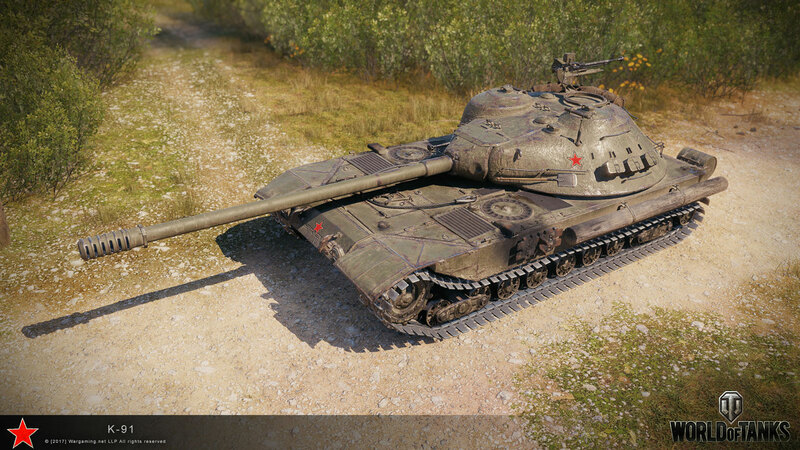 Just like the T-10, Object 277 will play as a heavy/medium hybrid, well suited for countering the enemy at the frontline while tanking key positions. Due to its agility, the tank will enable players to play both aggressively, switch flanks and even change approach and switch a defensive play. Object 277 will keep its progenitor’s performance-impairing weaknesses too: mediocre gun depression with -5.5º, making it very difficult for productive terrain-based play. OMG OBJECT 277 COME TO PAPA! 1000 hp engine, 55 km/h, 153mm thick UFP, 268mm turret front, 130 mm M-65 gun with automatic loading system. In 1957 the Object 277 was developed by J.Y.Kotin’s design bureau. The new tank was based on ideas from the JS-7 and the T-10. Object 277 was armed with a 130 mm M-65 Gun and coaxial 14.5 mm KPVT Machine-Gun. The gun was equipped with a “Groza” 2-plane stabilizer and a night vision system. Ammunition consisted of 26 shells for the main gun and 250 rounds for the machine-gun. The tank had a diesel engine of 1,090 h.p. The Object 277 was equipped with an anti-nuclear defense system, a system of clearing the sights and a system for underwater river crossings. The crew consisted of four men, and the tank had good maneuverability. Two tanks were built in 1958. Weren’t all post-ww2\cold war designs outfitted with systems like that? I never was cavalry, so I have no experience with the Leopard, but didn’t the original Leopard 1 design already implement that? Any mention of XP required to research just the tank? I imagine they will branch off of existing upgrades such as the gun so something in the 180-200k seems reasonable. Are you sure it is not a typo? well it lacks the full turret so, there is that. Gun depression -5.5 ? Is OK comrade, we flatten all maps! Got no xp on the T-10, and no crew, because Wargaming took both and shoved them on a tier IX I didn’t want. Any detail on K91’s alpha? Oh no, there’s no russian prem bias at all, nope. I’m only mentioning this because I honestly thought the tier 10 rear-turreted med would have full rotation aswell. Because STG is no MT/TD hybrid. And what bias are you talking about? STG is not a good tank at all. In fact it’s pretty terrible, have you played it? Ughhh, such a horrible tank that STG. Your turret is a 50% 50% chance to bounce anything at t8 and 5% from the hull, and as you get up tiered 80% you are just free exp and money if they manage to hit you. So not even a fair comparison. The only decent thing on that tank is the dispersion. 276 mm apcr penetration, horrible gun depression, limited turret traverse. Well this tank blows already. 276mm SILVER apcr penetration. The gold shell is the regular 330 HEAT. Wish the K-91 had better side armor, 60 side armor compared to the tier 9’s 80? Not much use for that rear turret in side scraping then. Any idea about the releases? Need to start grinding exp again on the T-10 because I did what WG likes us to do with “elite exp”. Anyways, always knew aswell it would not be the 777 v.II coming after the T-10 by the same reasons – doesn’t fit the “pike nose” purpose and had nothing similar to the T-10 or any of the others. The Obj. 777vII was rumours started by the wrong “crowd” lol I’ve always said it would be Obj 277, its was actually developed to replace the T-10. I’ve updated the article with the Initial Stats. I’ll publish full stats once they are leaked. Looks nice. Something of a Russian T110E5 tank? 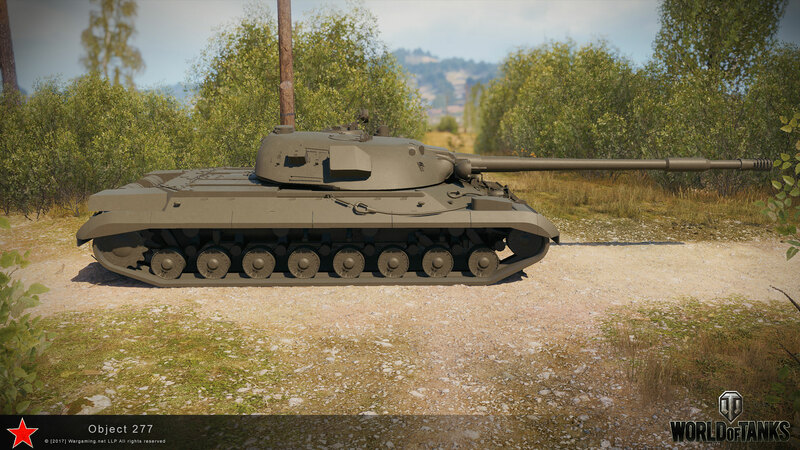 what if you already researched the tis7 through the t10 will you get the new tank researched or will you have to go back into the t10 and research it? You have to get the XP and research it of course. but aren’t those heavys stats worse than IS-7s? When I bought T10 (IS 8) for tur first time I tought it was pretty bad at first (btw it was my first tier 9) but kept it in the garage anyway.